Monday, November 5, 2018-Former Prime Minister, Raila Odinga, has been keeping fit in the gym despite his advance age. It’s very hard to find his agemates taking their health and fitness seriously. “Baba” goes out for regular workout and that’s why he keeps getting younger and becoming more vigorous in the political scene despite his age. 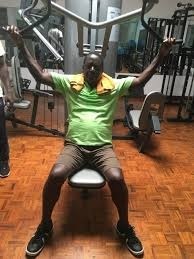 Here’s a video of Baba busy working out in the gym.